Family History, Genealogy articles, links and research. 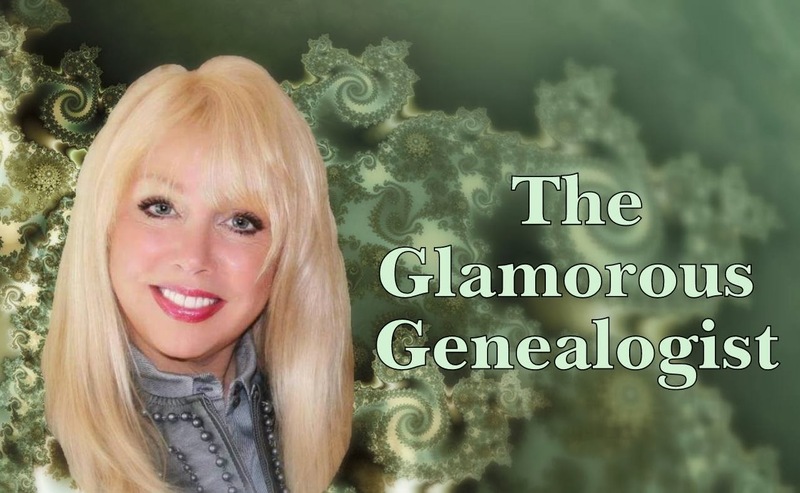 Sharing 20 years of genealogical research with a dash of glamour! A Starter Pack for Dutch American Research! I began researching my Dutch ancestry about 20 years ago. It is the line of my grandmother Eva Bradt. Her 6th great grandfather was the Norwegian Albert Andreissen Bradt (1607-1686) who owned the mill on the Normanskil River in New Netherlands.He lived among the Dutch settlers and his children married within the Dutch community.He was a fur trapper and trader, a land owner,briefly a tobacco grower and by all accounts a tough as nails, litigious character. His brother Arent is the one who shines most brightly in historical accounts, however I find my line to be equally as intriguing. As I began researching my Dutch ancestors it became clear that many had gone before me on this task.I have to say that I relied heavily on the meticulous work of some family historians who did the leg work of researching documents long before computer genealogy was one of the countries most popular hobbies. If you are researching your Dutch American ancestors, here are a few tips and links which my help you to develop your tree. Because this is such a well documented group of people, I recommend starting with Family Associations. Once you find an association that relates to your family line, it is helpful to everyone if you make contact with them and give them the information of your branch of the tree. Some groups have reunions. historical tours and newsletters which can be a terrific source of networking. People who belong to these associations usually have a strong dedication to building and perpetuating the family heritage and I have found them to be very helpful. There are numerous free book resources on the web such as the National Archives and Google Books which can help with Dutch Genealogy Research. Primary resources are essential for accurate research, but books can bring ancestors to life via anecdotes, stories of adventures and maps or later photos of their homes and lands.Here are some examples of books that relate to Dutch research. Photo from the book Dutch Houses of the Hudson River Valley by [Helen Wilkinson Reynolds. 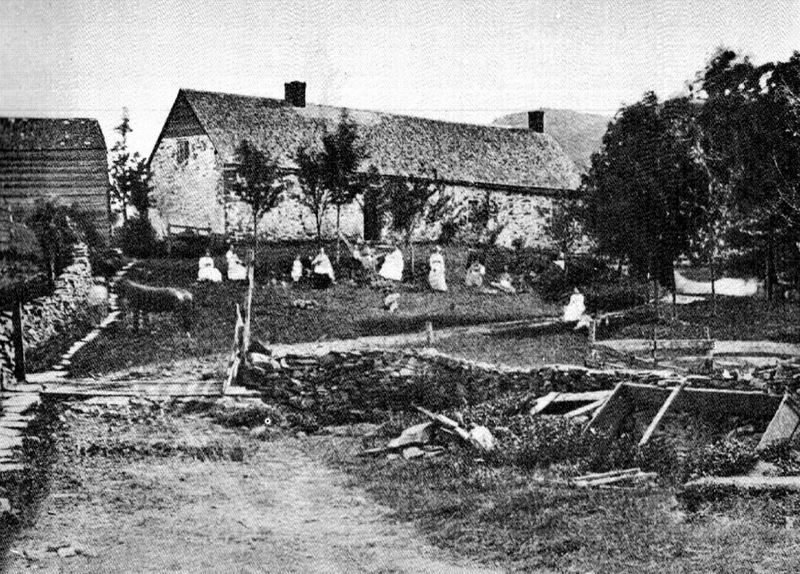 Depicted are my Van Aken ancestors in the front yard of their home circa 1870 in Esopus,N.Y. 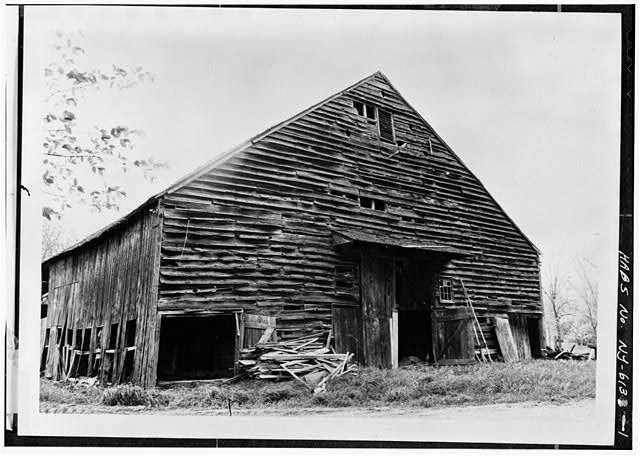 Search The Library of Congress Photo Archive and you may find a gem like this: A photo of the barn of my 8th great grandfather Johannes Decker. There are many free to view websites which are excellent sources for Dutch American research. I hope that this little starter pack of Dutch American genealogy inspires you to find out more about your heritage. Thank you for stopping by! The Glamorous Genealogist! Reading your blog I saw a number of Dutch names Van Aken being one of them. Being Dutch myself, I was very much interested. I also have a blog with many genealogical subjects. One of my posts shows a survey of foreign genealogical blogs/sites showing Dutch origin surnames. The URL is http://www.patmcast.blogspot.com/2012/05/dutch-ancestors.html. The idea is to try and establish contacts between people who have an interest in the same surname. There are numerous cases in The Netherlands where people emigrated centuries ago without leaving a trace in Dutch archives. With my blog I try to bring Dutch and foreign (mainly US/CAN) genealogists together. Therefore, I like to have your permission to show your site in my a.m. blog. In that case can you provide me with a list of all the Dutch surnames in which you have a direct interest? As of today your blog is mentioned in mine. If you want me to change or add anything, please let me know. Hope some useful contacts will develop. If you want to search for Dutch genealogical records from Dutch records, on a website available in English, head over to Open Archives! I have been researching Genealogy/family history for 18 years.I am a member of several lineage societies including The Daughters of The American Revolution. I write the occasional article for genealogical magazines. I have coerced male family members into participating in "FamilyTree DNA" testing and have done the MTDNA tests and "23 and Me" . I am currently working on assembling information to publish as a member of The Guild of One Name Studies. I am responsible for the surname Bowles and its variants. I work on genealogy daily and although I am not a certified genealogist, I have been active in helping others research their family trees. As much as possible, I try to create a personal profile for my ancestors by finding out how and where they lived,their occupations, lifestyles, and political view points as well as learning about dates and data. I am not as keen on having a tree with a million names as I am with fleshing out the lives of the more direct and close collateral lines. I hope you enjoy my blog and that we can all learn from each other. Thank you for stopping by!